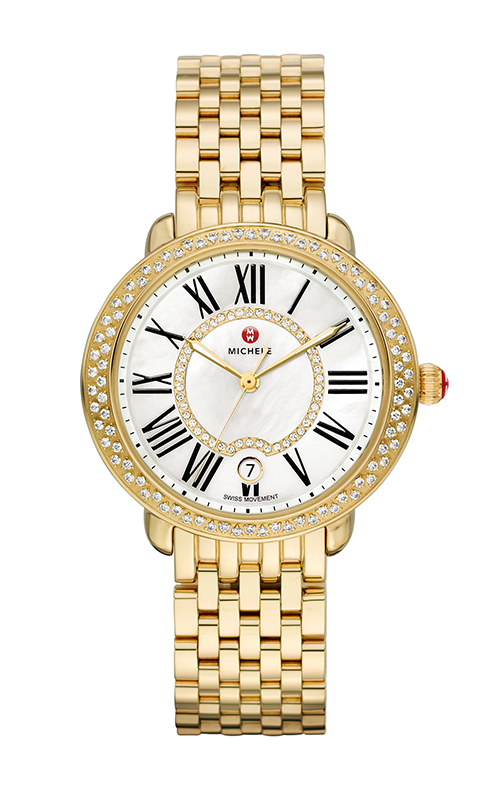 Michele MW21B01B0963_MS16DH246710 | Leslie Gold Watch Co.
One hundred and thirty four glittering diamonds adorn the elegant Serein 16 Diamond Gold, Diamond Dial timepiece with mother-of-pearl dial. 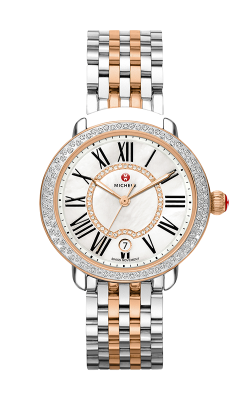 Roman numerals and the signature MICHELE logo add the finishing touches. 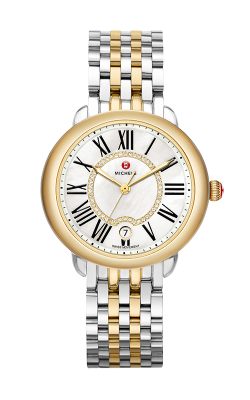 The 18K yellow gold-plated bracelet is interchangeable with any 16mm MICHELE strap.